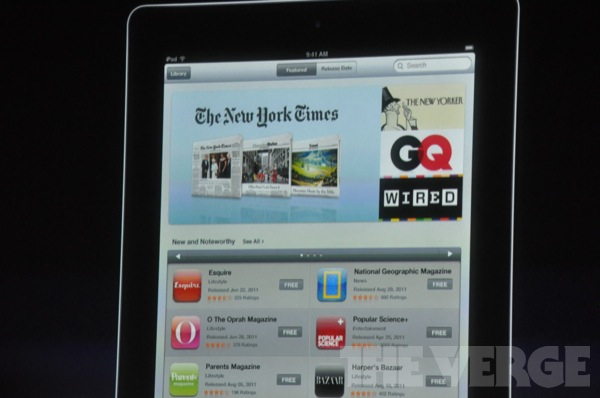 At its Let’s Talk iPhone event in Cupertino, Apple has just announced the launch partners for its NewsStand service, the ‘iBooks for Magazines’ announced at WWDC earlier this year. As this image from The Verge confirms, the New York Times, GQ, Wired, National Geographic are all on board. The service will download new issues for you in background for titles you’ve subscribed to and it’s built into iOS 5, which will launch on 12 October.